Do you need an access road, driveway, or parking lot striped or sealcoated? All Court Hawaii has a dedicated, knowledgeable, and highly trained staff to clean out existing cracks and alligator cracking areas, prepare for either cold or hot pour crack sealant or apply a pothole patch. 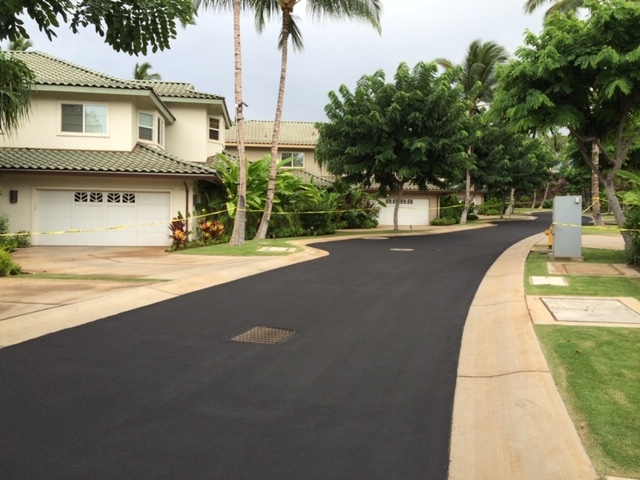 Oil spots are treated prior to sealcoating and, if desired, All Court Hawaii can provide a free quote for more extensive asphalt repair or new asphalt. Plus we use only top name brand materials and products. 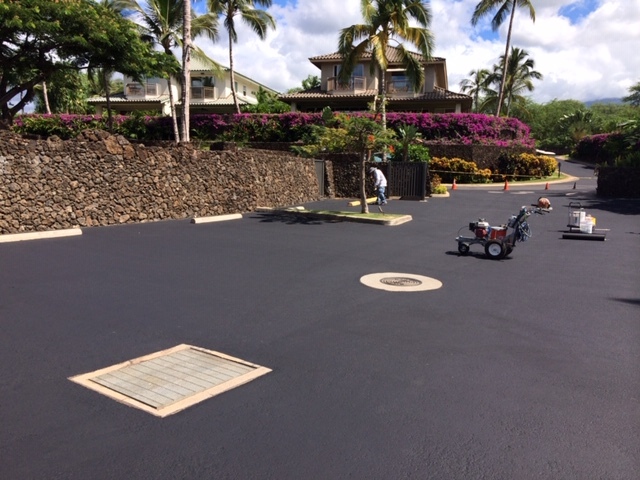 All Court Hawaii personnel are experts in the different crack sealers, fillers, and methods needed to repair asphalt and extend the life of your parking lot or Driveway. We’re an authorized applicator of SealMaster® products. If you’re looking for a little bit of color for your driveway or athletic court, you’re in luck. 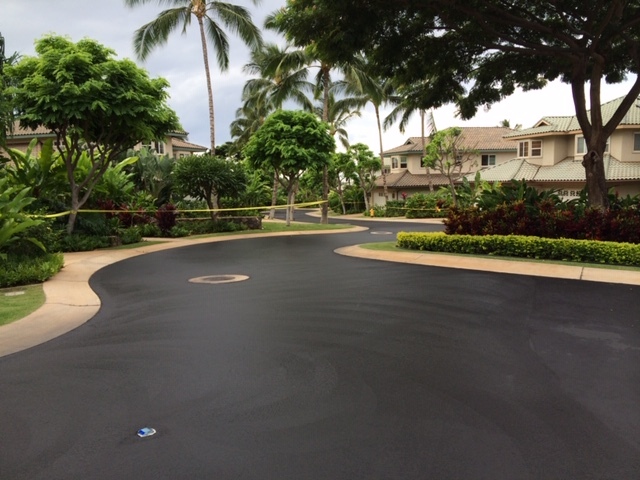 All Court Hawaii specializes in the ColorPave system for colored concrete surfaces. ColorPave is a 100% acrylic SealMaster product designed for driveways, parking lots, walkways, golf cart paths, and more. ColorPave offers an array of colors, with standard options including Sahara Beige, Terracotta, Slate Gray, Forest Green, Graystone, Brownstone, Olivestone, Burnt Sienna, and Brickyard Red. With so many colors to choose from, you’re sure to find the one that works for your home, business or facility. 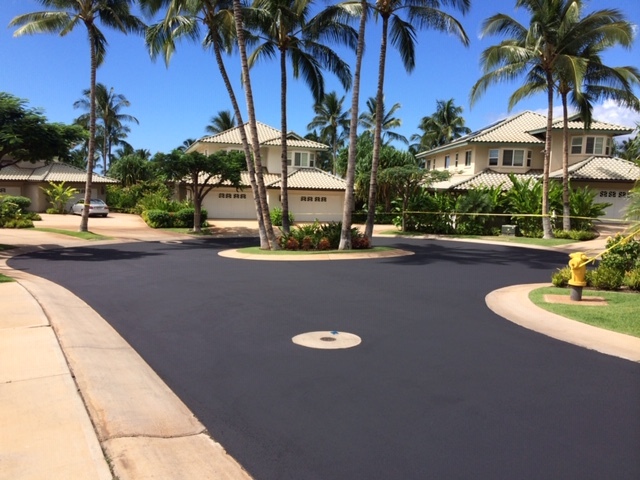 Whether your driveway, parking lot, or walkway needs sealcoating or some extra color, All Court Hawaii has the know-how and the materials to ensure your asphalt is repaired and protected. Call us today at 808-283-1147 for your estimate.